Nashville—the land of cowboy boots, honky-tonks, and music that’ll make you want to throw on a cowboy hat, pop back a few cold ones, and sing about a truck you never thought you wanted—can be viewed as a city that’s filled with Southern-style dishes and hole-in-the-wall bars with floors that are lined with last night’s debacle. Nashville, however, is more than the stereotypical town you’ve probably grown up learning about—it’s a city that’ll make you rekindle your love with travel, food, and the human race. Just shy of a hundred people moving into town every single day, Nashville, or the Athens of the South, is slowly making waves as becoming the next best place to settle. If you’ve never been there, you may question why someone would pack up their life and move to a place if they have no relation to the music scene. However, this “Music City” will remind you to learn to enjoy the little nuances of what makes slow living worth it—all the while still throwing back a few cold ones in your newly bought cowboy boots. Whether you’ve never been to Nashville or thinking of revisiting, I provided a couple (okay, a lot) of places you need to check out to see why this Southern city needs to be on your travel bucket list, when you’re looking for a chill time. You may be more inclined to stay in an Airbnb to be far removed from the hustle and bustle that is Nashville’s downtown scene. However, I highly recommend getting the most out of this city’s Southern hospitality by booking a stay at one of Nashville’s newly built boutique hotels. My favorite? Bobby Hotel. 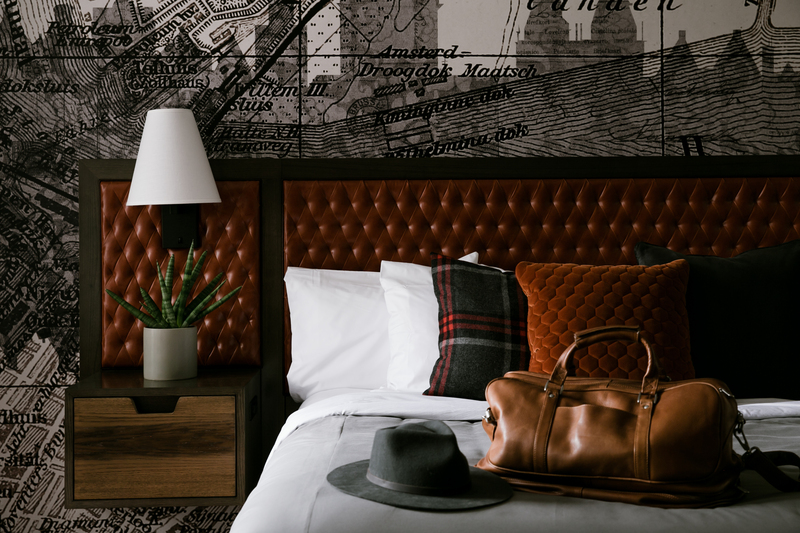 Situated in the heart of the Arts District, this 144-room hotel is the perfect juxtaposition of country living and worldly designs that’ll make your head spin with visual pleasure. If I were to write about how you should party in Nashville, we’d definitely talk about Bobby’s ground floor bar that’s appropriately named Bobby’s Garage Bar; however, I’m all about the different ways you should chill in this city, so I’m going to take a different route (but, still, visit this bar ASAP). 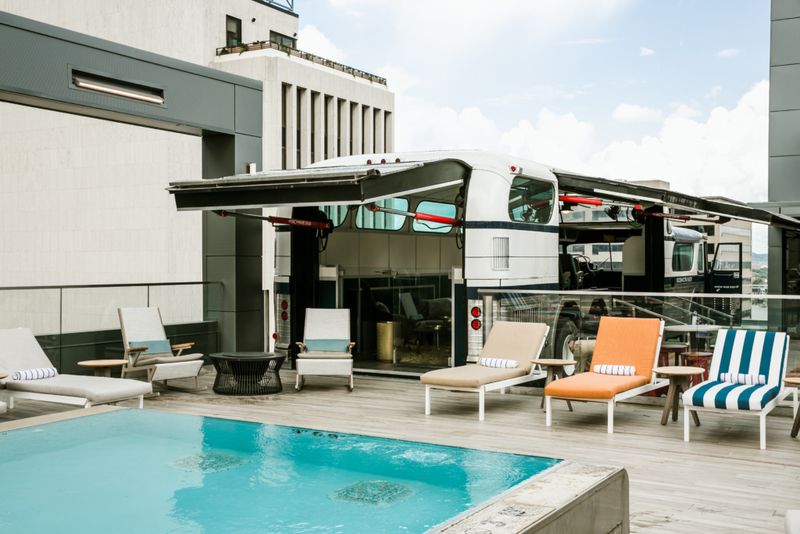 Instead, if you’re looking for a little downtime during your stay, you should grab your bathing suit and head to the tippy-top floor to snag a spot at the Rooftop Lounge. Known as the hotel with a 1956 retrofitted Greyhound bus on it, this floor feels like a playground for adults due to its large pool that’s surrounded by 360-cozy seating, an 11-seat full-service bar with original cocktail creations, and it’s a retro-vibed lounge area that’s created within the actual bus itself. But if there’s ONE thing you have to do during your stay at the Bobby Hotel, it’s the Inner Calm Massage. This restorative treatment takes a holistic approach to topical healing by using elements of aromatherapy, breathwork, a pink clay scalp massage—that has red clay, watercress, and vitamin C—and a Rose Quartz used across the Third Eye, during a 60- or 90-minute full-body massage session. The goal is to give you the ultimate relax feeling from head to toe and help send you through a sensory journey. Guests are encouraged to choose their own aromas to aid in the relaxation process whereas the other elements are there to deeply condition the hair and scalp, assist the lymphatic drainage and the heart attracting love and calmness. Bonus: However, if you or someone you know is looking to get away from it all, have them check out Bloomsbury Farm’s Airbnb. It’s about a 35-minute drive from Nashville and is perfect for a romantic getaway. Within the last few years, a culinary storm has been a-brewin’ in Nashville. Chefs from across the globe have been making this city their home, transforming this town by creating restaurants that could rival New York’s own. Frankly, it would be a sin if you traveled to Nashville and didn’t hit up some of the restaurants that have been making waves. For instance, Rolf and Daughters, while on the pricier side, is worth every damn penny. It’s best to come with a group to try more of their ever-changing Mediterranean -inspired menu; however, this Germantown restaurant is not one you should shy away from if there’s a long wait. This place can fill up way, way in advance, so reserve a spot as soon as you know you’re heading to Nashville—you won’t regret it. However, if Rolf and Daughters is booked (or if you just want to treat yourself to another night out), the next best thing is Butcher and Bee. Their slogan does not mess around—they truly do have honest-to-goodness eats. Providing tapa-style plates as well, Butcher and Bee will have you undoing not one but two buttons from your jeans because you’ll literally want to order everything. All their food is locally sourced, and their cocktails do not disappoint; you can tell everything has been thoughtfully planned down to the tiniest detail. 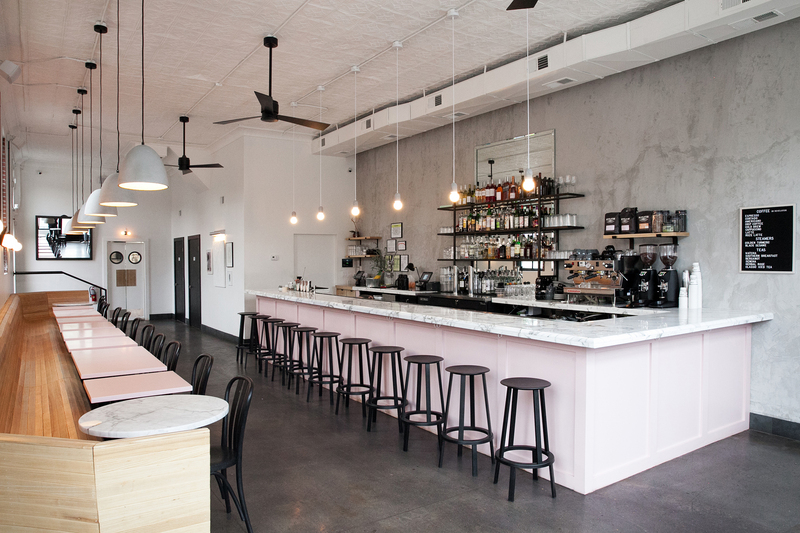 This place leans more on the casual side, but it’s still perfect for a romantic night out. The one great thing about Nashville’s food scene is that no matter your price point, you’re going to eat something delicious. Hattie B’s, Loveless Cafe, and Dino’s are just some of the stables that the locals approve of and are a must-visit even if you’re just in Nashville for 24 hours. Jeni’s Splendid Ice Creams and Cafe Roze also will make your mouth water for different reasons. While you can probably get Jeni’s at your local grocery store, there’s nothing like getting a scoop or two on a homemade cone from one of their scoop shops. 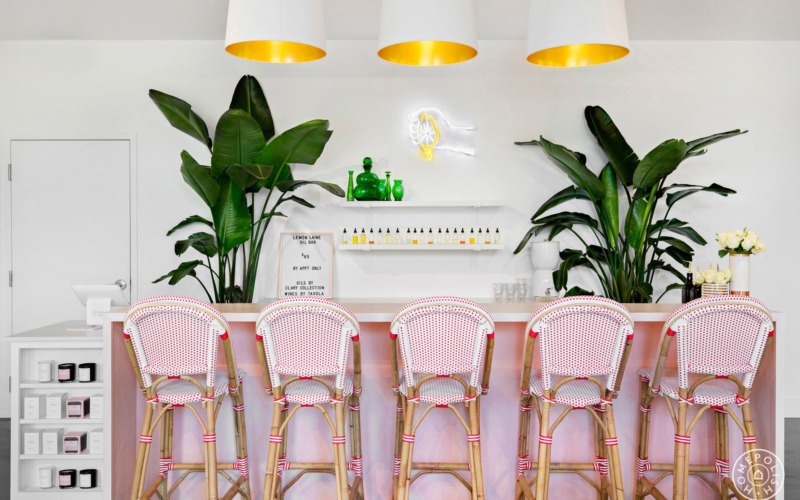 As for Cafe Roze, this all-day cafe will make your Instagram’s feed pop because of its neon sign, blue pink tables, and picture-perfect food items—plus, everything from their food menu to coffee menu is pretty dang tasty. But if you just want to stay put and enjoy the hotel for an ultra-lazy day in, reserve a seat at Tavern at Bobby. 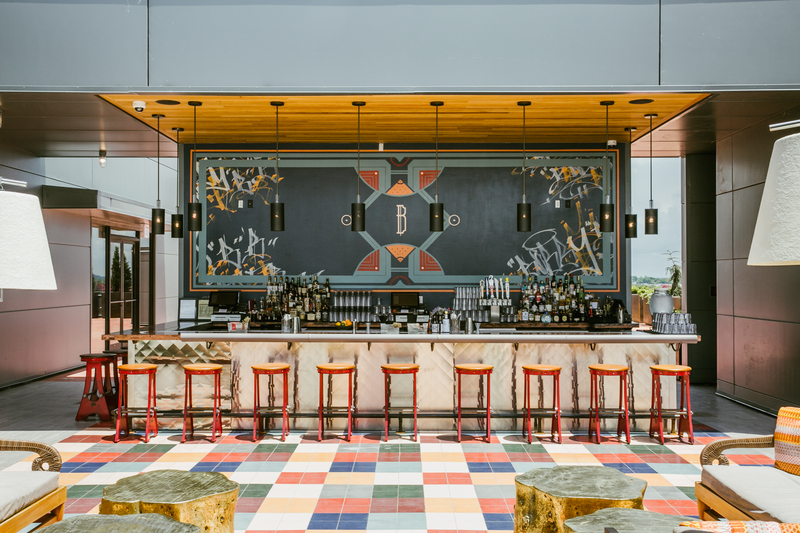 It’s the ultimate hideaway from the hustle and grind of downtown Nashville, where you can taste the globe through local ingredients that have been sourced by nearby farms. The menu has been created by the hotel’s own private chef, Jeff Axline, and touches on all international flares like Tuna Poké and Grilled Lamb Lollipops that are topped with Harissa Red Pepper Maramalde and Mint. A chill vacay wouldn’t be chill if you didn’t check out some beauty and wellness spots, right? Our number one pick? Lemon Laine. To be frank: This. Spot. Is. Gorgeous. They have everything from natural, quality products to a full-service oil bar, where you can go and create your own beauty concoction for your face. You’ll need a car to get there, but trust it’s worth a visit. After when you get your glow on, head to Pure Sweat and Float Studio to get your sweat on. This oasis in Nashville will have you feeling brand-spankin’ new and completely rejuvenated. Choose between a float therapy session or an infrared sauna session—or, heck, do both. Each will last about 40 to 60 minutes and are customizable to your needs. However, if you’re lookin’ for a more traditional take on beauty services, Poppy & Monroe is a one-stop-shop for everything you could want and need. 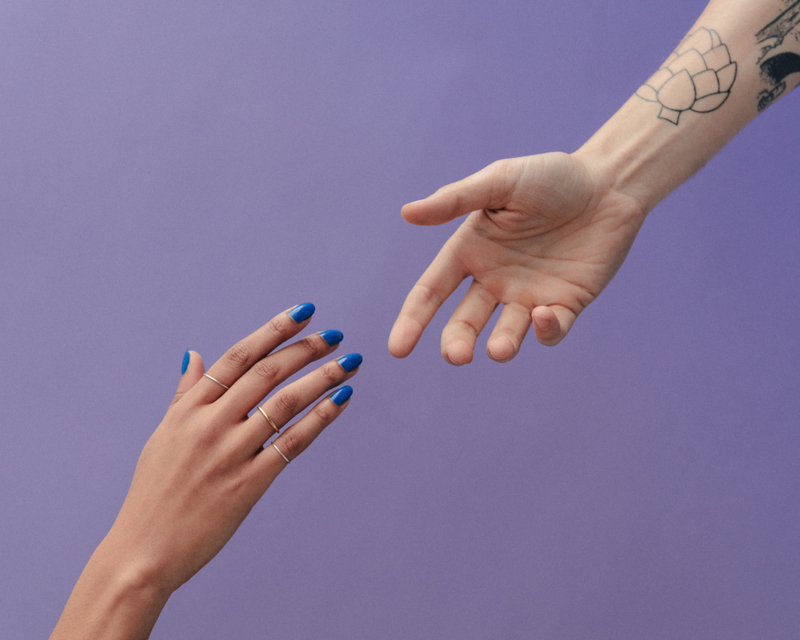 From waterless manicures and pedicures to sugaring hair removal to a full-fledged facial, Poppy & Monroe will care for you from your head all the way to your toes. All their personal care products are natural and eco-friendly, so you can feel completely safe when you purchasing things from this place. Self-care wouldn’t be the same if you couldn’t blow half your paycheck on candles, so that’s why I decided to add The Candle Bar to this list. This place is not your typical mall candle store—no, this is an experimental retail store, where you can reserve a candle pouring session to create your own candles. You can bring your own beer (you heard right) and receive 20 percent off to purchase anything else you might want from their retail space. The candles do take three hours to solidfy so maybe go grab lunch at one of the places I’d mentioned above while you wait. 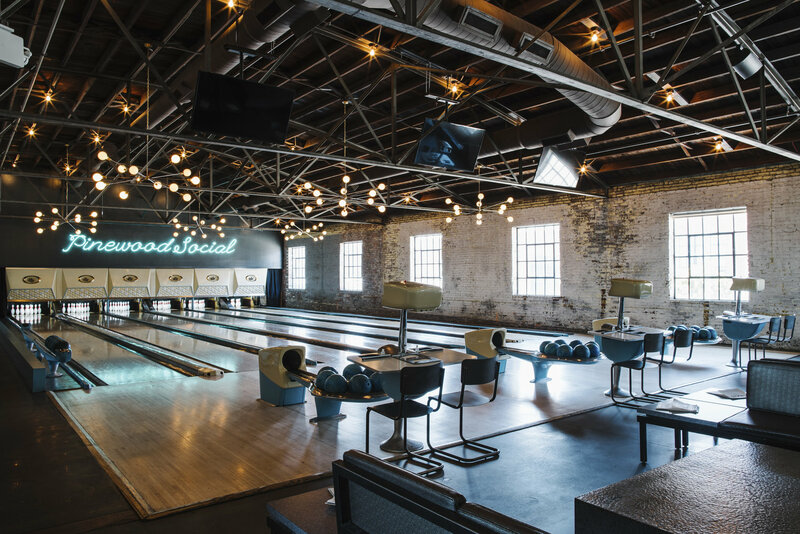 When Broadway isn’t your scene and you want to explore Nashville on a more calmer note, then you may want to head to the outskirts of town. 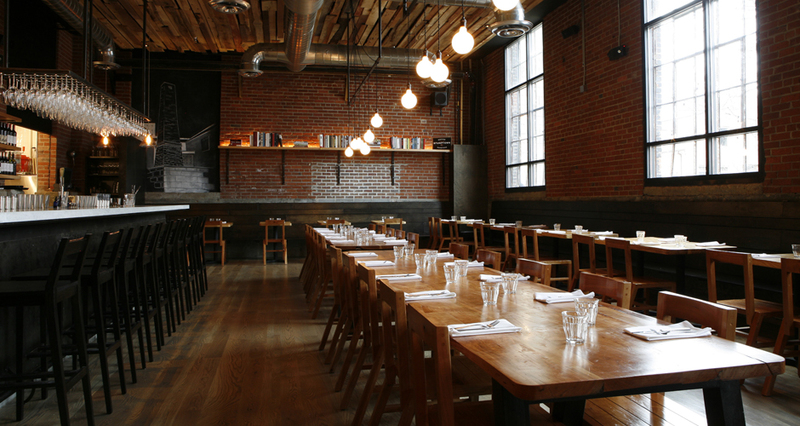 Pinewood Social, for example, will bring out your competitive spirit thanks to their assortment of games. Order a few of their seasonal cocktails and reserve a spot at one of their bowling alley lanes or bocce ball courts. Or, if the weather is nice, you can order a few tacos from their Airstream and hang in one of their two dipping pools. If you’re feeling like you need a little pick-me-up, grab a coffee from CREMA to help keep the fun going. Urban Cowboy is the one place where you probably want to whip out your cowboy boots and hat. 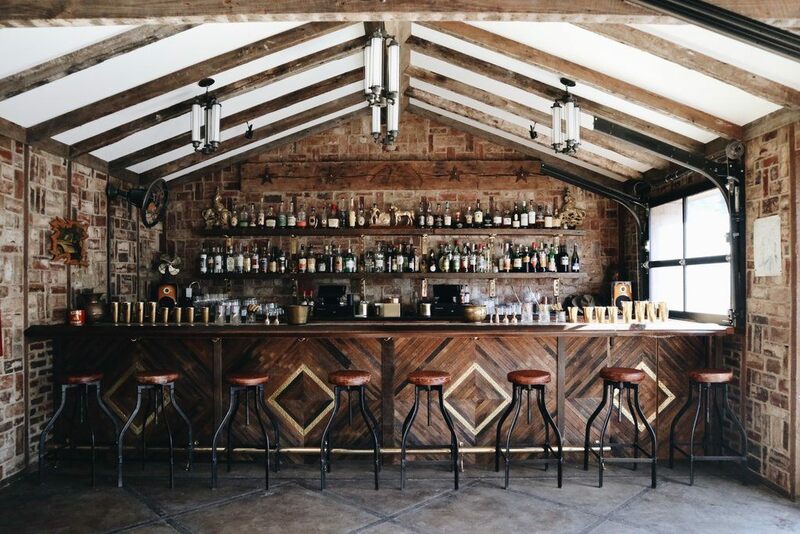 While this spot is a bed and breakfast, outsiders are welcome to enjoy their Public House Bar and Kitchen. Craft cocktails and organic meals (that are changed daily, by the way!) can be enjoyed by a firepit outside or indoors by the kitchen or bar. Seating is first come, first serve (no reservations here! ), so make sure to get there early to get a solid spot. It would be blasphemous if we did a Nashville roundup and didn’t mention anything about music, right? If you’re planning on going to the Music City anytime in the near future, you have to check out Live On The Green. From August 30th to September 1st, you can experience some of your favorite musicians for free. This year’s lineup? Jimmy Eat World, Matt and Kim, Cold War Kids, and more. But if you’re looking to do something during the day, grab a few sammies and a blanket, and head to Centennial Park to chill and relax before your big night out. Home to the replica of the Parthenon (which also serves as an art museum), Centennial Park is the perfect place to come and hang or learn more about Nashville’s history. Between a one-mile walking trail, a sports complex, a lake, and a sunken garden, this park is everything you could want to just get away from it all and chill the eff out.